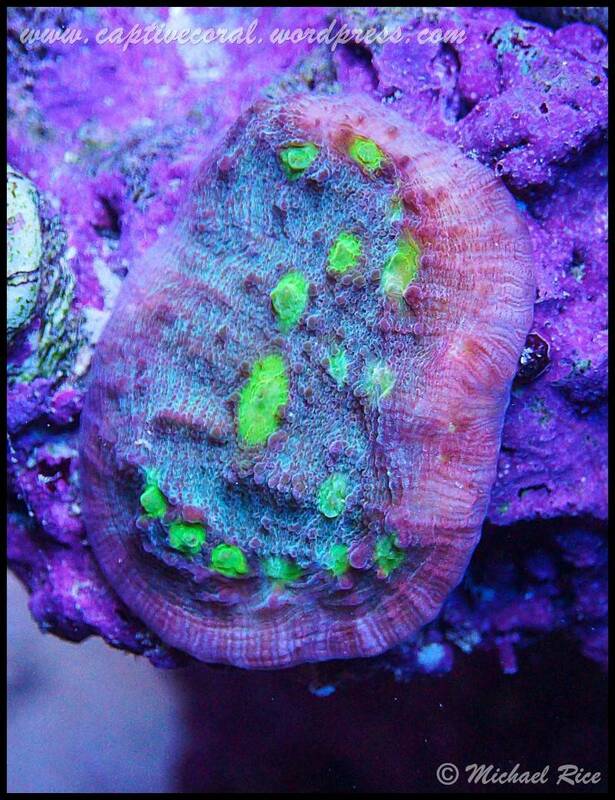 Difficulty Level:*Chalice corals range from beginner species of oxypora, such as “Firefly” chalice, up to expert species of echinophyllia in needs such as light and chemistry. 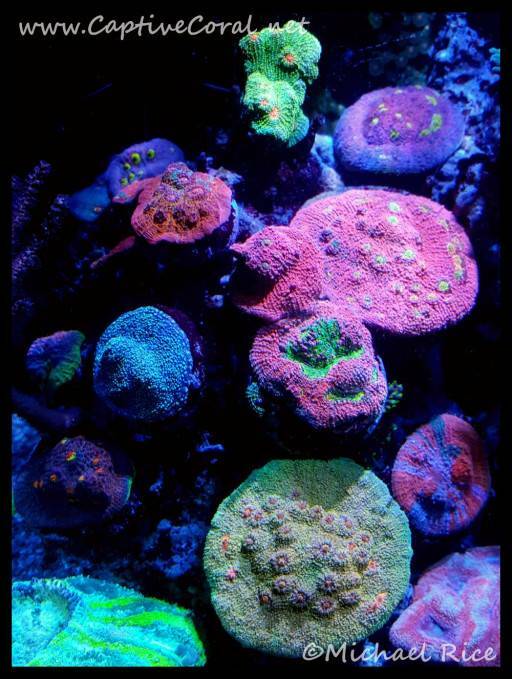 Feeding: Most chalice corals feed at night with small feeder tentacles though some may have long sweepers. They may also take larger meet based foods placed directly on their flesh if given enough time. Pellets are a favorite of mine. Lighting (Level 2 to 6): These are very adaptable to different lighting conditions though some of the best colors may be seen at lower levels. Take extreme care when acclimating them to higher lighting. Chalice corals also have vastly different needs depending on species with some oxypora enjoying much higher light than other chalice species. Water flow: Chalice are not picky when it comes to flow, however, they do require adequate water movement to keep their fleshy surfaces clear of detritus and other debris. 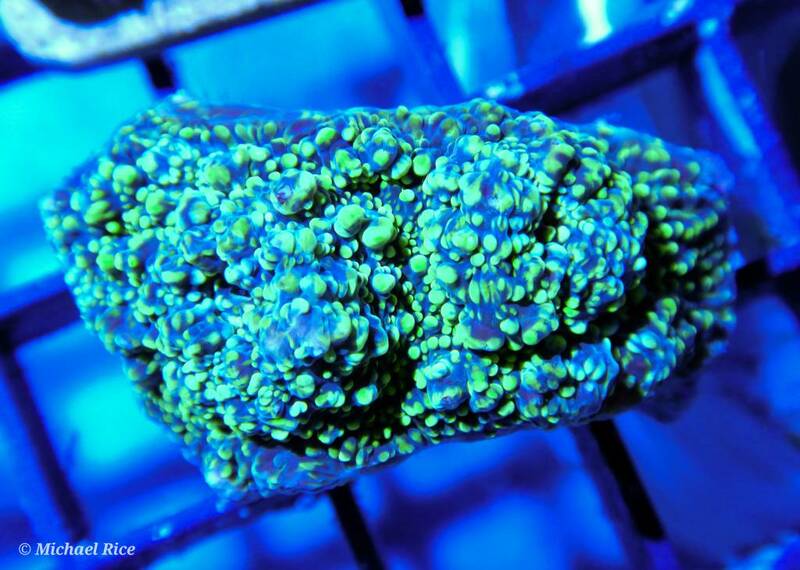 Placement: Some chalice corals can be extremely aggressive so plenty of space is needed. General: Members of this family have the ability to produce large amounts of mucus. Be sure you have adequate filtration and plenty of carbon in the system to cope with it. That's a sweet pic for sure! The closer you get the more interesting the texture becomes. Check out this nice little piece of what appears to be a mycedium species. Here's a nice pink and blue chalice specimen. Subtle contrast, but when you look close it's amazing!